Question #46: Where is the first indication of virgin birth in the Bible? 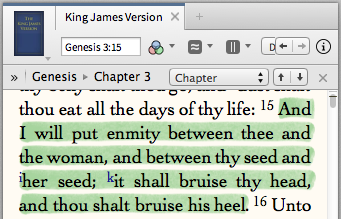 Answer: The first indication of virgin birth in the Bible is in the protoevangelium of Gen 3:15 where the evangelical promise will come from her seed, not from man’s seed (cf Lk 1:55). “And I will put enmity between thee and the woman, and between thy seed and her seed; it shall bruise thy head, and thou shalt bruise his heel” (Gen 3:15).